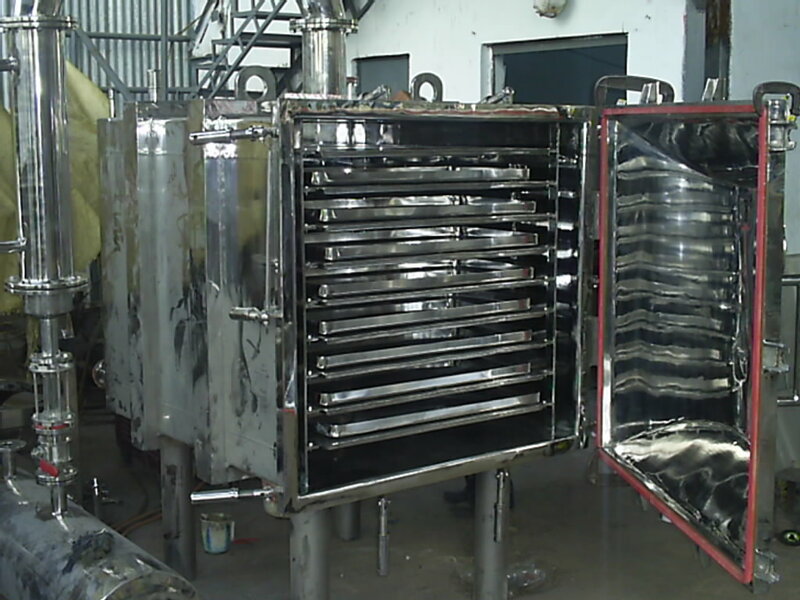 Vacuum Tray Dryer (PBXVTD) is suitable for drying of thermal sensitive materials easily resolved, polymerized of deteriorated under higher temperature. Sterilization can be conducted prior to the drying process, during which no matter is allowed to enter the product. Static vacuum dryer eliminates the configuration damage of the drying materials therefore widely used in pharmaceutical, chemicals and foodstuff etc. The vacuum dryer shelves are hydro-tested 5 kg/cm2 assembled condition. The vacuum chamber is tested for leaks under vacuum.